Is A Cable-Driven Elevator Right for Your Home? For many Americans, limited mobility makes it difficult to get around at home. A cable-driven elevator can be the solution you need to improve mobility for yourself or a family member in your home. A cable-driven elevator uses a motor and drum unit in the top of the elevator shaft. Two cables connect the drums to the elevator cab. When a rider wants to go up, the drums wind up the cable to raise the cab. When a rider wants to descend, the drums spool out cable to lower the cab. The motor that turns the drums is controlled by a variable frequency drive, which can closely control the elevator's speed. The variable frequency drive can allow the elevator to accelerate and decelerate smoothly for optimal comfort. 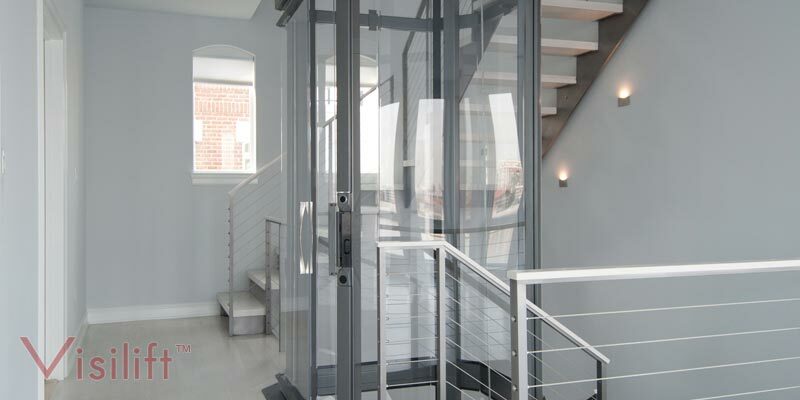 Vision Elevators offers two popular cable-driven elevators for residential use. The Visi-48 features an octagonal shape that measures 48 inches across at its widest point. It provides wheelchair accessibility at home and can transport up to 744 pounds. The Visi-48 cable-driven elevator can make up to five stops in a home. It does not require digging a pit or use of a separate machine room, which reduces installation time and costs. Our other popular cable-driven elevator model is the Visi-58. This round elevator measures 58 inches in diameter to provide wheelchair accessibility. It can transport up to 830 pounds up to five stops in a home. Like the Visi-48, the Visi-58 does not require a pit or machine room. A cable-driven elevator is an ideal way to increase at-home mobility for an individual who has trouble climbing stairs or who uses a wheelchair. Vision Elevators' two cable-driven elevator models both offer wheelchair accessibility without the need for a pit or machine room, which reduces installation time and costs. They are an excellent choice to increase the independence of yourself or a loved one at home.